Have I fed too little food? My worm bin was doing great, producing castings very nicely. However, now I have fewer castings and lots more of big hunks of chewed up newspaper. Do I need to be giving them more food? I was afraid of giving them too much. I cover them with lots of shredded wetted down newspaper. Comments for Have I fed too little food? Having a fear of feeding worms too much food is actually healthier than a fear of feeding too little. If they run out of food (kitchen scraps) then they will eat the bedding/newspaper. I always tell those that are starting out to feed a couple of handfuls per 1 lb. of worms. When you see the food just about gone then add some more in a corner or on the side under the bedding. Moist shredded paper is good but having a moist blanket on top made out of a few sheets of paper will help keep the moisture in and worms eating the kitchen scraps very well. Hope this answers your question. Sorry so late I've been on vacation and been trying to catch up on things. My experience has been that I can be less concerned with the amounts of food added when using the Worm Inn, which is essentially a cloth bag. The worms eat whatever I put in, without producing sludge or killing the worms. I am sure it is because of the natural ventilation provided by the fabric. So amounts are less critical, and if heat is produced, it is dissipated more quickly. The only downside is that I must monitor moisture, as it tends to dry out, and then nothing happens. I hear you on the breathability with the Worm Inn. This can be a plus or minus depending on one's ability to be vigilance. As a seller of the Worm Inn I always recommend some form of a moist blanket on top of everything. 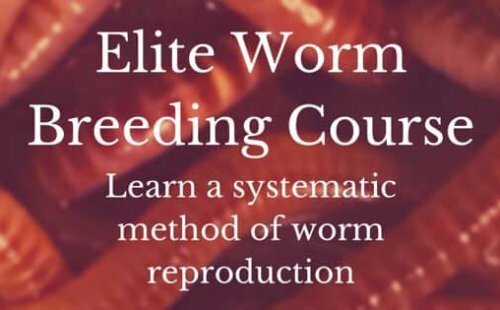 Worms will do very well with too little do to everything that goes in is basically "food".